One of the sources app users have to discover new apps are app review sites. Since the app ecosystem took off back in 2008 a number of app review sites have emerged, for the most part they specialize either on iOS, Android or both OS. Certain number of app review sites charge fee to review an app, others review app free of charge and make a profit by placing ads on their sites. The quality of reviews on those sites does vary a lot, some produce very poor written cookie-cutting reviews that bring zero value to app developers who get their apps covered on those. Others are of very high quality, those capture interest of hundreds or thousands app users and make their choice for what app to try next or what app to prefer for a specific task. By getting their apps reviewed on app review sites, app developers accomplish two goals. Firstly, they increase an app brand awareness, because any mobile app at the beginning of its life cycle, by definition, is not known and needs lots media placements to be discovered and downloaded by people. Secondly, it helps an app to be ranked higher on the Google Play store because of multiple inbound links from those sites, pointing to an app’s page on the store. From an app user acquisition stand, app review sites have a potential to bring loyal users for an app. Quite often reviews on the iTunes App Store or Google Play can be biased, because they weren’t written by app genuine users but simply purchased on sites that offer to buy app reviews. On the other hand, an app review site owner can provide an honest, unbiased review for an app and it is what makes app review sites still relevant and useful for app developers. There are couple bonuses that app developers gain when they got their app reviewed on those sites – a feedback from app review sites owner, who has seen dozens and dozens of various apps and can tell a difference between high and low quality apps. PreApps – it provides a submission service to either 150+ app review sites (both iOS and Android) for $699 or 200+ sites for $1,399 within a week period, with providing a subsequent full report with contact details, commentary, and secured exposure. Apart from app review sites submission service, the company provides app developers with a platform for their apps to be exposed and provided a feedback before their release. MobiliSpot – it offers App Promotion packages that range from $199 to $799. Services are also available individually. Available services include: app review submissions to 115, 155, or 225 review sites, press kits, published press releases, app review pitches, directory listings, and 250 blog promotion submissions. Proof of submission is provided. AppSubmission – it provides 6 step app review sites submission process. It starts with paying for the services via PayPal, credit card or Wire transfer, submitting an app with all information required, than all this information goes to be composed in a final message pack to submit. After the pack is approved by an app developer and sent to app review sites, AppSubmission provides a complete report. The company works with Android app review sites only and charges $99.99 per submission. iSpreadNews – it offers iOS, Android, Windows Phone or Mac OS app request to review to US / UK based or international app review sites. The international app review sites scope consists of blogs that post news about apps in 20+ languages, including Deutsch, Italian, French, Spanish and Russian. The company charges $249 for an app review request broadcast to 920+ iOS-related app review sites and $159 for a blast to 430 Android-related app review sites. .
One of the standard pieces of an app marketing campaign is a press release writing and distribution. Since app review sites owners receive a stream of apps to review, they review a lot of press releases that are attached to a standard app review pitch. As it happens with any cut from the same cloth kind of information, press releases stop invoking a response and lead to apps they present to be tossed away. Therefore we suggest to send an app review site owner a custom message to make a good case for your app to be reviewed . When you write a pitch for your app, make sure you keep it informative and short, ideally 6-7 lines of text, including link to your app, its icon, 3-4 bullet points of its major features, link to a 30-60 seconds video demo and its general description. Your approach to writing a pitch for app review site is actually identical to the one you would need to approach a journalist, editor or blogger. The point of sending a pitch is to grab attention and make a good case for why journalist / blogger / app review site owner should cover your mobile app. When you submit a paid app to app review sites it’s important to provide a reviewer with a promo code. Even though an average app price point is only $1-2, usually app review site owners prefer to a get a free copy. Check out the iTunesConnect guide to see how you can get promo codes for your app. Every app review site has its own guidelines for you to follow, even though they may be almost identical, it’s always good to check them out and make sure you follow them, when you submit your app to be reviewed. A short, 30-60 seconds video demo is the most illustrative way to demonstrate what your app is about and convince an app review to review your application. Having a video demo of the same quality as this one from FiftyThree app will help greatly but it doesn’t necessary have to be that high profile. You need to make sure that your demo manages to demonstrate your app’s best features within 30-60 seconds time frame. Just like any tech. media journalists or editors, app review site owners are busy and have a long to-do list of apps to consider daily and actually review. A quality app review process takes up to two days to be able to check all features and analyze what benefits does app bring on a day-to-day basis. Remember about it when you submit your app and follow up reviewers up to 3 times, after you’ve submitted your app. Chasing reviews for months will be counterproductive and will just drive them crazy. Touch Arcade – one of the oldest and the most respectable game review sites. The website forums has about 10,000 active users, who participate in game discussions, as well as more than 400,000 members in general. iMore – among websites dedicated to Apple’s hardware and software, iMore has been one of the best sites that manages to bring quality content since 2007. It covers both iOS and Mac OS apps, with featured sections Best iPhone, Best iPad and Best Mac Apps. App Advice – in addition to app reviews, it features videos section with the host Robin Rhys that presents both hardware and software reviews on a daily basis. The site was launched on July of 2008 and since than it’s gained a reputation of one of the best app review sites. Gamezebo – covers iOS and Android apps. It covers such game categories as action, adventure, arcade, brain and logic, cardboard, casino and more. It provides social tools to rate, share, and connect with people who are interested in casual games. Pocket Gamer – the UK-based game app review site, which covers the complete spectrum of game devices, including iOS, Android, Windows Phone, Blackberry, Kindle, Sony, Nintendo and AppleTV. PocketGamer was launched in 2005 by Steel Media Ltd.
148Apps – the app review site that was launched shortly after the iTunes App Store launch, back in summer 2008. In addition to app reviews, the site has an app price drop section that presents apps that gone temperately free, as well as a HowTo section with tips and guides for games and apps. Slide to Play – the game app review site with iOS, tvOS and Android app reviews, launched in September, 2008. The company’s staff includes former writers from CBS Interactive’s GameSpot as well as 1UP.com. It covers the whole spectrum of types of games, featuring the best games and the ones that should be avoided. iPhoneLife Magazine – the site covers both Apple’s hardware and software, with the iPhone Insider section with short videos that cover tips and tricks to make the most of the iPhone as a smartphone. Best Apps For Kids – the iOS app review site with the focus on apps for kids. It presents apps categorized by kids age, type of education, category, brand, character and more. appPicker – iOS only app review site with both staff and reader app reviews, as well as video previews section. Also the site provides the app Promocodes section to giveaway app promo codes and the Top 100 chart with 100 best app reviews. To get even more coverage for your app on app review sites, you can find a list of app review sites here. The video below provides some more guidance on a proper way of using app review sites as an app marketing tool. You can also find out more in these other posts on the topic. 200+ of the Best App Review Sites to Submit your Mobile App – the extensive list with contact information for app review sites, blogs, YouTube channels and app discovery platforms to submit an app to. Which App Review Websites Will Boost Installs – the article covers features that define a quality app review site. What are the most interesting and influential websites that review mobile apps (for iPhone and Android)? – a Quora discussion dedicated to sharing iOS and Android app review sites people consider to be a valuable asset for mobile app marketing. 12+ Best Free Mobile Review Websites to submit your iOS App / Game – a reddit discussion that covers twelve plus app review sites for iOS games and apps in general. 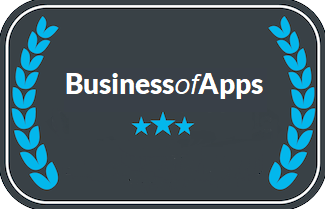 2015 App Reviewer Survey – a research white paper from UK-based Big Ideas Machine app marketing agency. It provides feedback data from 69 app review sites owners about what apps they prefer to review, factors that influence their decision to review an app and more. To wrap this list post up we’d like to stress on a difference between free and paid app review sites efficiency for your app marketing efforts. Even though generally paid reviews are legit as a business practice, in the mobile app review roam paid apps reviews are tend to be biased and they deteriorate the quality of these sites. That’s why we firmly suggest to approach app review sites that accept apps to review free of charge. The other important point to make has to do with having the right expectations. Every app marketing technique impacts overall app marketing efforts differently, some techniques are effective at generating installs, loyal users to deliver high retention rate, some are good for brand awareness. Predominately mobile app review sites bring brand awareness for an app and high profile ones are capable to deliver installs increase.